These are some of the gifts I made for people this past holiday. 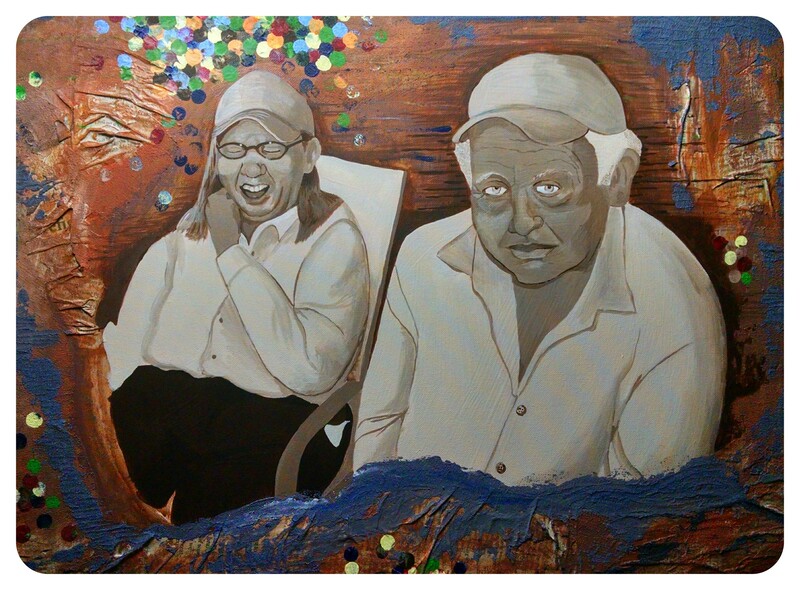 The first is a portrait of the Fischers done in mixed media on canvas. I chose to do this as a monochrome because I’m still getting my acrylic portrait painting “sea-legs” and I’m concentrating on getting correct values for now. 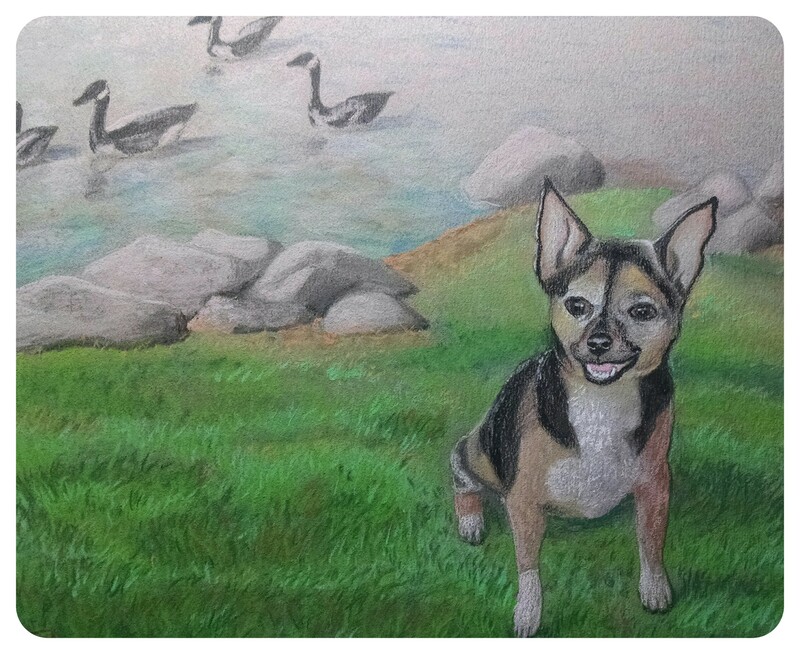 The second is a portrait of Jackson the dog done in pastel on toned paper. Building up the colorful texture of the grass was pleasurable and relaxing. Thank you guys and gals for your business! I am available for portraits, memorials, and private lessons. This entry was posted in Uncategorized and tagged gifts, grass, holiday, memorials, monochrome, portrait, sea-legs. Bookmark the permalink. Looking good, Jessi! I particularly liked the dog. I could see the work that went into building up the grass. The effect adds a great element to the overall piece. Benjamin was talking about you yesterday; he would like some more lessons this summer. I’m all for it. Thank you, Roy! I enjoyed working with Ben last summer and would love to work on another project with him.